We love to hear about the adventures our puppies experience after they go home with our families. Please know that even though we may not post all, we do read, love, and enjoy every letter, Christmas card, phone call, and e-mail we receive. Thank you for taking the time to make us smile. 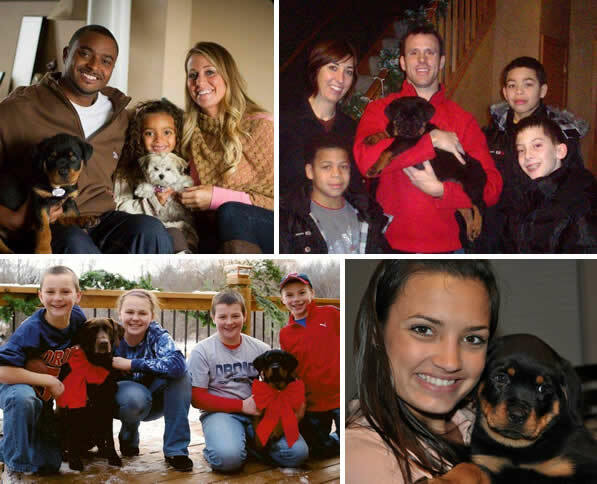 Our families mean so much to us and our Rottweilers. 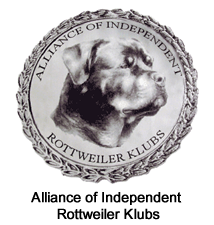 Without all of you, there would be no Vom Hause Noble Rottweilers to speak so highly of. Just a note to thank you again for all your help with the airport info. I want to tell you how impressed the vet was with Bella. VERY! He said she was in great shape and told us, “Wow, you got a great dog, sight unseen.” He also thought your assessment of Bella’s temperament was right on. I want you to know what a very fine dog she is. When I walk her on the boulevard, people yell out their windows as they drive by “Beautiful dog!” She is discerning and intelligent. She watches everything and learns. I could not have asked for a better dog than my Bella. You can be proud of what a fine job you are doing with breeding and raising these great dogs. I know this is long overdue. Bullet turned one year old on September 8th. He has been an absolutely awesome dog. He is growing into the dog I thought he would be. He has a great personality and has been very easy to train. He does very well with family and friends, small kids, and other dogs. I have recommended your kennel to several friends and family members. You should be very proud of your animals and the fabulous blood lines they possess. Thanks again for such an awesome pet. 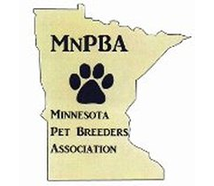 I had been searching all over for a quality Rottweiler and a quality breeder for a long time in Minnesota. I came to look at your dogs and talked to you. You took time with me and answered all my questions as well as gave me some great information, too. I was amazed how well all your dogs were taken care of. They were all in a big pens—pups and parents—all clean, and the pups smelled good, not to mention they all looked very healthy and were happily playing. I was very happy when I picked out Tank. He worked out very, very well. I would highly recommend you guys any day. A good Rottweiler is priceless! I want to thank you for letting us bring Anja into our home. Even though we welcomed her into our home at the age of 11 months, her age did not matter to us. Everything, the house training and leash training was all done. It was just getting her used to our home and us, which was not a problem at all. Thank you for all your care and help. We will be back. Everyone just loves her and her them, especially my wife who was a skeptic of [owning] a Rottweiler. First, I want to thank you for selling us a wonderful, wonderful pup! We love her so much and will be back to get another friend for our girl, Daisy. Your place is beautiful. All your animals were healthy looking and looked happy. You showed us the parents of our pup, and they looked happy and healthy, too. It shows you care for your home and animals. I am so glad I found you. What a great breeder you are! I cannot say enough about our new puppy Rumbles. He’s smart, quick-to-learn, and just an adorable little guy. He was fine right from the airport; the flight didn’t seem to bother him at all. He’s eating well and looks healthy as a horse. Rumbles is a wonderful addition to our family. I appreciate all the preparation you took, from the folder you sent with pictures, information and tips, through the safe transport to us. I cannot thank you enough! I can see why you are a Top Breeder of Rottweilers in the Midwest. I heard of your kennel when I was looking for a dog when our Bobo died. You were very compassionate and listened to me, and you understood what I had gone through. You never once pushed me into a sale. You have been honest with me and educated me along the way. I wanted to thank you for selling your love, Deimos. I know how much dogs mean to you, as I can see it in your interaction and care with each of them. Deimos loves my kids, and they love him, too. He is the best adult male we ever bought. He is so very well-trained and smart. You did a great job with him. Things are going great! We’re all in love with Harley and just can’t believe how fast he is growing. He is very smart and fun, and we’re so happy we have him. 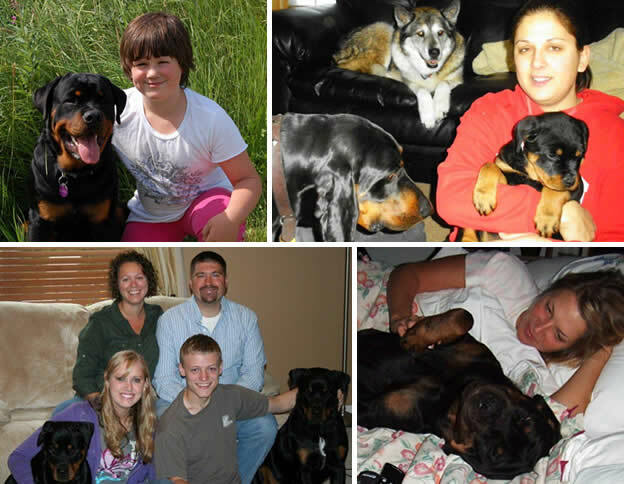 We want to thank you, Tasha, for what continues to be a wonderful experience and introduction to the Rottweiler breed. Harley has been a wonderful addition to our family, and the customer service from you has been second to none. Sieg is my third Rottweiler. My first Rottweiler was from a backyard breeder. (At that time I did not know what that was). My second Rottweiler we rescued from a garage and people food. Sieg, my now two-year-old Rottweiler, will live a long time. I can tell already. His gut his healthy. His hips are healthy. He jumps in the yard. He trots like a Rottweiler. He has the perfect Rottweiler stance. I never knew how sickly my previous dogs were until I had Sieg. Seig is agile and very active. I have to find things for him to do. I appreciate the time, care, and love you put into your program. Sieg is LOVED by everybody who meets him. He is a good testimony for the breed, and I have you to thank for that. It is hard to believe a month has gone by since our little girl joined our family. She is absolutely perfect. She is growing proportionately and not gangly—yet. I can’t thank you enough for spending the time getting to know me through e-mails to understand exactly what I wanted in a dog. With having a new puppy already in the home only 5 weeks older and so very active, it was so important that we get the right balance, and you did. You got it just right! Adorable, Adorable, Adorable. Thank you again for everything. We just wanted to thank you so much for our girl from your Kuno and Seager litter. We loved that she was five months old and all the work done. She was worth every penny. Our vet was very impressed at her temperament, socialization, and quality. We are proud of her. Our daughter cannot wait to get her in the show ring and have some fun with her this summer. Thank you for all your support. I know I can call you with anything; that means a lot to us. Thank you for caring enough to make a stand and feed your pets well and educate us. You are such a blessing. I got a copy of Echo’s 4 generation pedigree from the AKC and just wanted to pass along the good words our dog trainer said about his specific bloodline: Well, this [pedigree] explains a hell of a lot! Echo is a VERY well-bred dog, from very impressive lines. I can see why he is such a natural at his heel and his ability to focus. He was bred to be the best. By the way, we’re at week five of training and things are going amazingly well. We see so much potential in his ability. This will be something we continue throughout his entire life (lots of training, teaching new things, as well as continued exercise and socialization). Thank you ever so much for our wonderful boy Charlie. Charlie is so well-natured and so laid back and such a snuggler! He is full of energy and a big bundle of joy. You have been there for us whenever we had any questions and got back to us right away. You are knowledgeable in your food and have educated us on many things we did not know. Thank you for caring about us and our family. When I first called you asking about the available 18-month-old Rottweiler, I told you about our recent loss of our male Rottweiler, Pac. You were very sweet and understanding and took the time to share your own experience of losing your first Rottweiler. Thank you for being so compassionate. We knew we could never replace Pac but wanted to find another dog to love. When Justin and I arrived at your place, it was the first time we had seen another Rotti since Pac’s passing. We went there thinking we would just see Griffin, since she sounded like such a great dog, but as soon as she came out your front door, Justin and I looked at each other and knew she was the dog for us, and you would be the breeder for us. She followed Justin to the car and jumped right in. She knew she was coming home with us. We’re really glad that you cared about her and decided to have the surgery for her ACL. Her leg has healed, and it doesn’t bother her anymore, thanks to you. She loves going for walks and playing with other dogs. She even likes my cats. We love Griffin so much and can’t thank you enough for being so helpful and for raising such a sweet girl. I wanted to send a letter thanking you for all of your help. When I contacted you looking for a puppy after our Brutus passed away, you were very helpful and understanding. You called me and talked at great length to see what exactly we were looking for, and when I said that I was also looking at a few other kennels, you were nothing but helpful and gave us a large amount of information on what to look for in a breeder and what we should be looking for in the pedigree of whichever puppy that we ended up choosing. 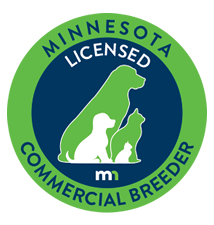 It is plain to see that you take great pride in your dogs and only want to better the Rottweiler breed and care a great deal about your dogs and where the puppies end up, which are things I feel define a quality breeder. 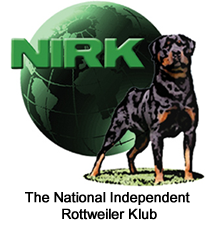 The fact that you were willing to go to such great lengths to make sure that we knew what to look for, even though you didn’t even know if we would decide to get a puppy from you, shows that you are a very ethical breeder and care a great deal about the wonderful Rottweiler breed. In the end we did choose a puppy from you partly because we knew that you were honest, trustworthy, straightforward, and held high standards to maintain and improve the Rottweiler breed. We also liked the fact that your puppy’s great grandfather was also our Brutus’s dad and the markings were closest to what we were looking for. One last reason, which is a little weird and neat all at the same time, is the fact that the puppies were born on the day our Brutus passed away. We will have no qualms about recommending you to anyone else looking for a quality Rottweiler and are very happy with our new puppy; he has filled a void in our hearts and has given our female Jade a new zest for life.